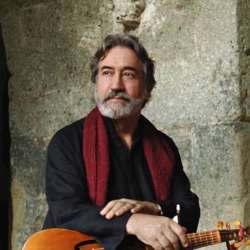 Jordi Savall and Hesperion XXI. East–West – A Dialogue Of Souls. The performers are eminent musicians. Tickets are nearly sold out, so I suggest you go to the website and purchase yours if yo'd like to attend. We'll meet for drinks before the performance in the Buffet on the ground floor.